Summer is a time when people enjoy the beautiful weather and summer events. It brings along with it the bright sun, shining at its peak all afternoon. Although it is recommended that you cover your skin when out in the sun, wearing full sleeves in the scorching summer heat is the last thing you want to do. And if you don’t put on sunscreen, you can pretty much count on having to deal with a painful and itchy sunburn. Excess exposure to harmful ultraviolet (UV) rays of the sun burns the skin, causing redness and swelling. Dealing with a suntan is a cosmetic issue for many, but a sunburn can leave you in a world of hurt. Moderate sunburns heal within a week, but getting rid of severe sunburns may take up to two weeks. With severe sunburns, painful blisters may appear on the skin. Once the sunburn is completely healed, the burned skin may continue to peel off through the subsequent week. If you’re worried about all the sundresses you won’t be wearing because of your lobster-red sunburned skin, rest assured that every problem has a solution. The many lotions and ointments available in the market for treating sunburns are often full of chemicals that can further damage the skin. Why take a chance when you can get rid of a sunburn using all-natural means? The first thing you should do immediately after getting sunburned is run cool water on the affected skin. Then, you can use natural home remedies to help your skin heal. Here are six ways to get rid of a sunburn using natural ingredients. An effective remedy for various skin conditions like fungal infections, apple cider vinegar has been a tried-and-true method for many suffering from sunburns. Not only does it act as an anti-inflammatory agent on sunburned skin, it also prevents blistering, making it a choice remedy. 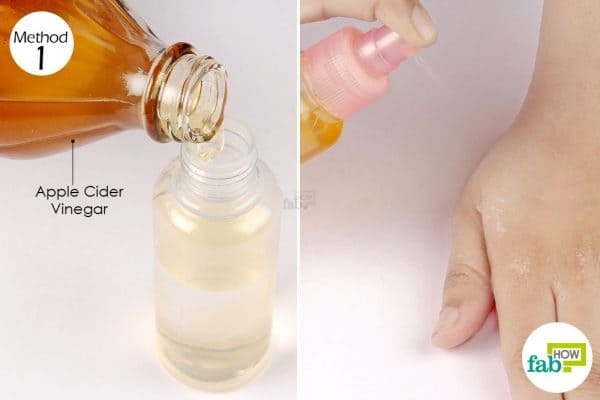 Fill a small spray bottle halfway with water. Fill up the remaining half with apple cider vinegar. Spray the diluted apple cider vinegar on the sunburned skin to get instant relief from the inflammation. Repeat every 4 to 5 hours for 3 to 4 days, or until the skin is healed. Often known as the ‘burn plant’, aloe vera is used in many sunscreen lotions. This natural salve boosts healing of the skin. Plus, its anti-inflammatory properties reduce the itching and pain of burns as well as rashes. 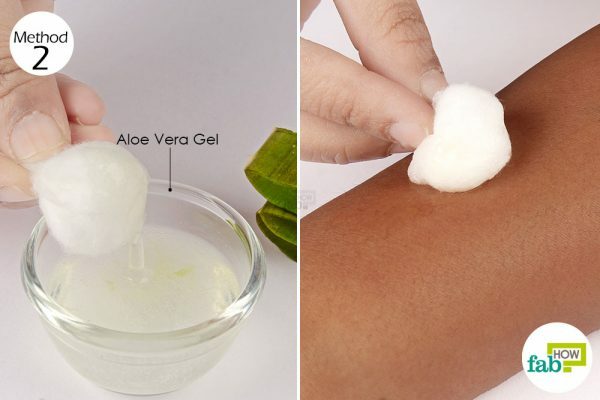 Using a cotton ball, apply aloe vera gel on the affected skin. Cold aloe vera gel right out of the refrigerator is recommended. Let the aloe sit on the skin for at least 20 to 30 minutes before washing it off. However, washing off the aloe is not necessary. Letting it fully absorb into your skin provides maximum benefits. Do this 2 or 3 times a day to get quick relief from the pain. Continue with the remedy for 4 to 5 days for complete recovery. Coconut oil can give you gorgeous skin, and it’s also widely used to keep the skin healthy by protecting it from harmful UV sun rays. The medium-chain fatty acids present in the oil relieve skin inflammation and soothe your skin. 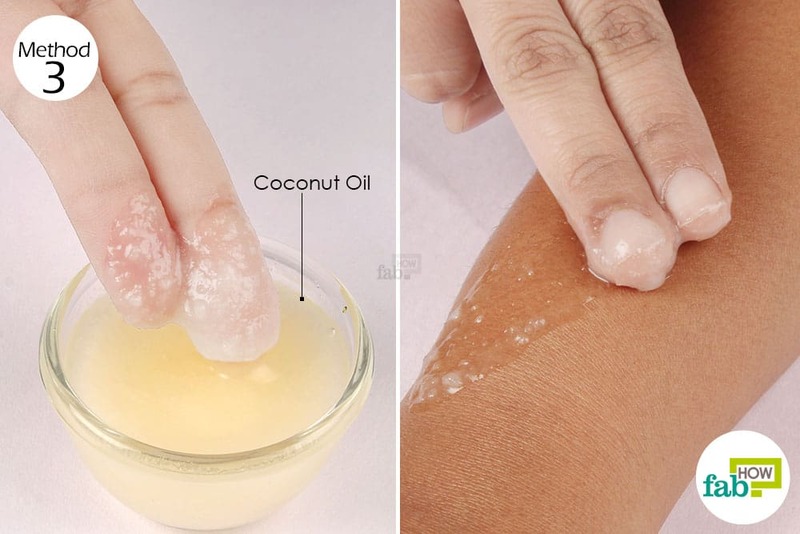 The oil also heals and repairs skin damage caused by sunburns. Apply organic coconut oil to the sunburned skin using your fingers. Do not wash it off. Preferably, apply the oil before going to bed, so that it can work overnight for better results and quicker healing. Apply 2 to 3 times daily for 4 to 5 days to get rid of sunburn. Tea is rich in tannins, which are effective in reducing inflammation in burned skin and speeding up the healing process. They also protect the skin from UV rays. Plus, the antioxidants in tea help prevent free-radical damage to the skin. 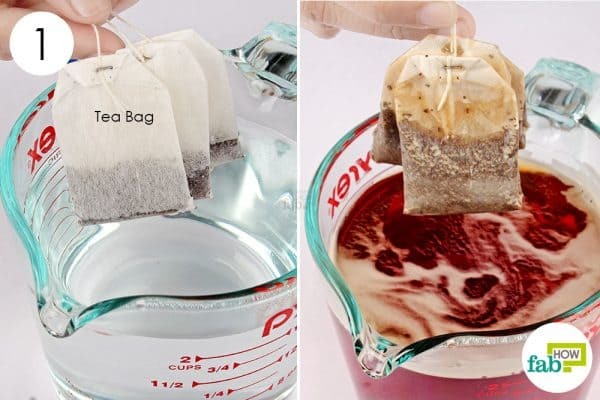 Drop 2 or 3 tea bags into 2 cups of warm water. Let the tea brew for about 10 minutes. Remove the teabags from the water. 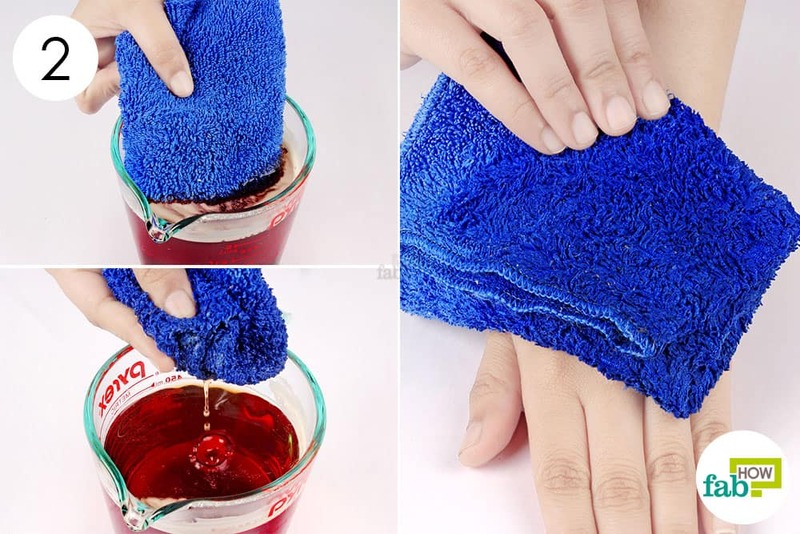 Soak a soft towel or a rag in the cooled tea and squeeze out the excess liquid. Apply the tea compress to the sunburned skin for about 10 minutes at a time. Do this 2 or 3 times a day for 1 week to heal the sunburn. Applying cold yellow mustard is one of the most popular sunburn remedies. 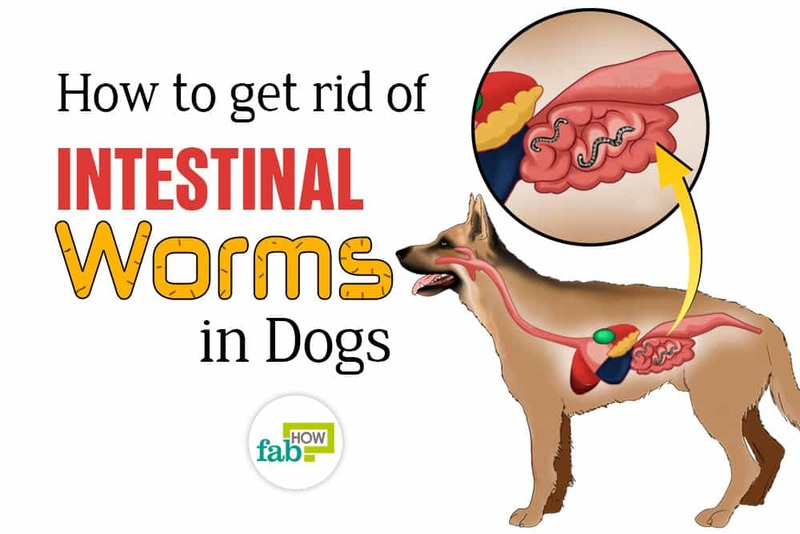 While there certainly are no scientific studies backing up this remedy, there’s overwhelming anecdotal evidence supporting its effectiveness. The vinegar present in yellow mustard seems to be responsible for drawing the heat out of the skin. The gooey texture of the mustard helps it stay on the skin for a long time, keeping it cool. In cases of severe sunburns, applying mustard can prevent blisters. 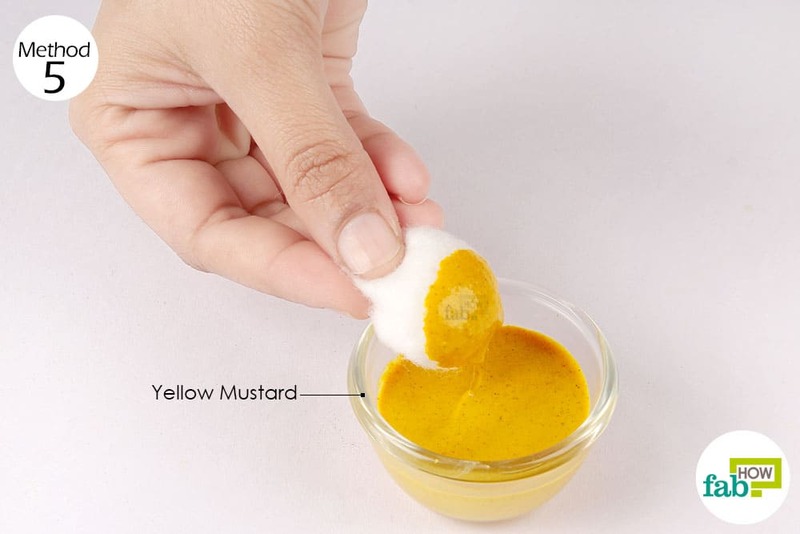 Use a cotton ball to apply regular yellow mustard, straight from the refrigerator,on the sunburned skin. Leave it on the skin for 30 minutes or until it dries. Do this 2 or 3 times a day for 1 week to get rid of sunburn. You’ll likely find that yellow mustard soothes the burn immediately. Baking soda (sodium bicarbonate) has antiseptic properties that soothe the burned skin and relieve the itching caused by a sunburn. In addition, it is highly alkaline in nature, which helps the skin retain its pH level, further promoting the healing process. Put 1 tablespoon of baking soda into a bowl. 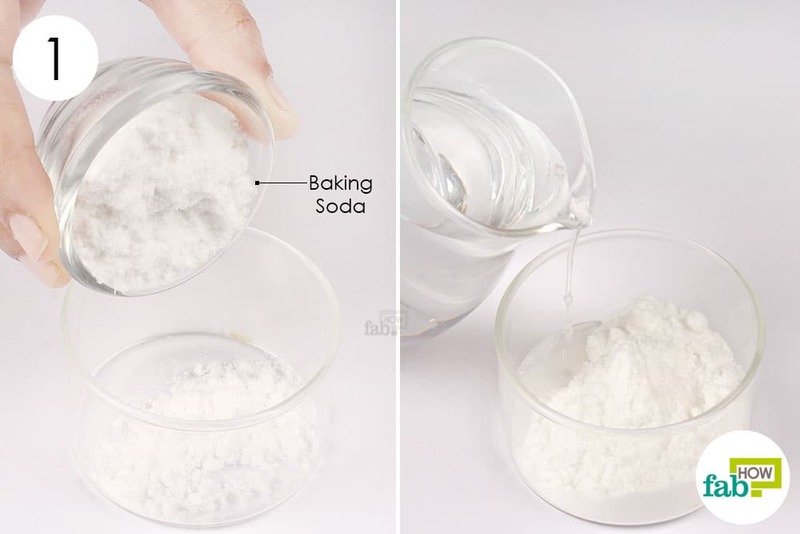 Stir the baking soda and water to mix it up completely. It should form a thick paste-like consistency. Make sure it’s not too runny or it will slide off your skin. Apply the mixture to the burned area, and wash it off after 30 minutes. 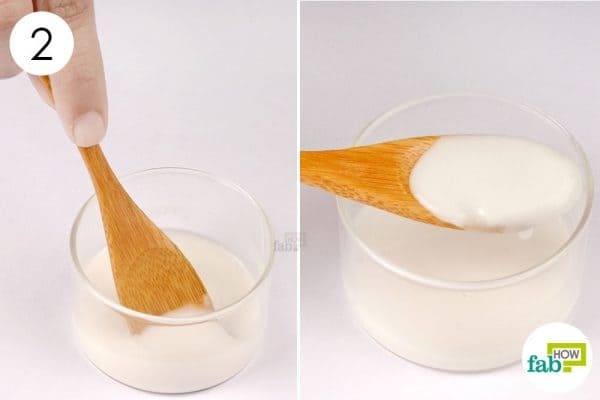 Regular application 2 or 3 times a day for about 1 week will help you get rid of sunburn and heal your skin. Immediately rinsing the affected area with cool water or applying a cold compress helps cool down the burn. Lightly pat dry the skin or let it air-dry before using any of the above remedies. Protect yourself from direct sun exposure by covering yourself with clothing or using a sunscreen with a high sun protection factor (SPF). Eat more fruits rich in vitamins E and C, such as papaya, pumpkin, oranges and other citrus fruits.The vitamins will help speed up the healing process from within. All the methods above also work on normal burns. Drink plenty of water and don’t let your body dehydrate due to the summer heat. Even though the above methods work very well for healing a sunburn, consult a skin specialist if the burns are very severe.